Last week, Samantha had the opportunity to attend a Regency Ball as part of the Pride and Prejudice conference at Lucy Cavendish College, Cambridge. For this week’s Sunday Soiree, we thought we’d share some of the evening’s highlights! 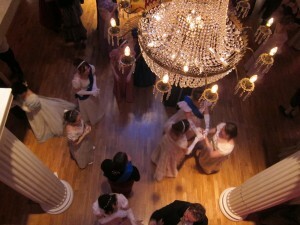 When they said “Regency Ball”, they meant Regency Ball. 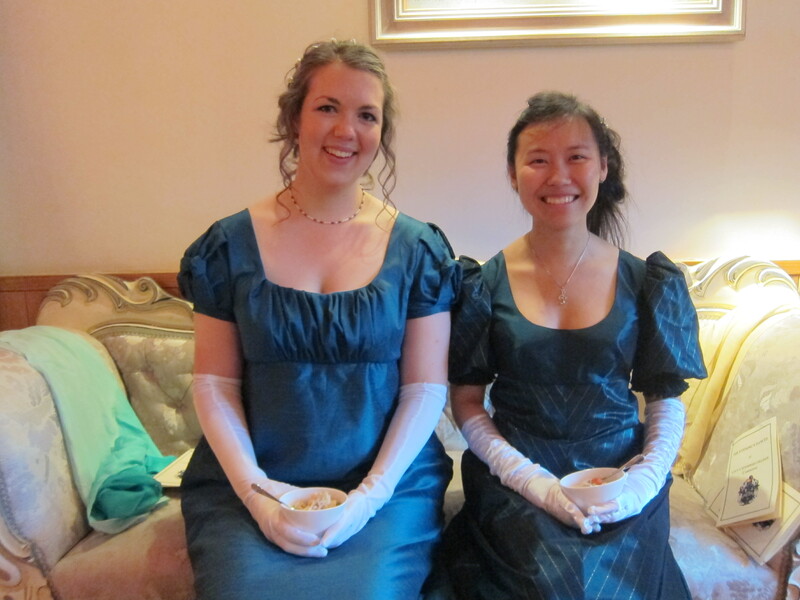 This wasn’t just about dressing up in passable Regency garb, but everything else that happened at a ball: the food, the dancing, the card games, the benches outside where one could take some fresh air when the entertainment became too vigorous. I had a bit of a bummed foot over the week and a bit preceding the conference, and I also pulled a muscle in the same leg during the dancing lesson we had prior to the ball, so my dance card was shockingly empty… But of course, that allowed for a lot of photos and Regency card games and gossip! Although the Regency dress code wasn’t compulsory, it was really amazing how practically everyone rocked up in their empire dresses and waistcoats—and mmm, the cravats! 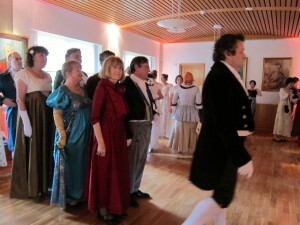 Processing into the ballroom, led by the dance caller and the hosts of the ball. And then I found my sartorial twin! I’m on the right, with a dress I found at a vintage store in Belfast for a tenner. Yup. Because the dancing was a little too strenuous for me and the outside area was a little chilly (the notion of “summer” in Austen is a lie), I opted to join in some card games in the upstairs area. Complete with replicates of Regency cards! 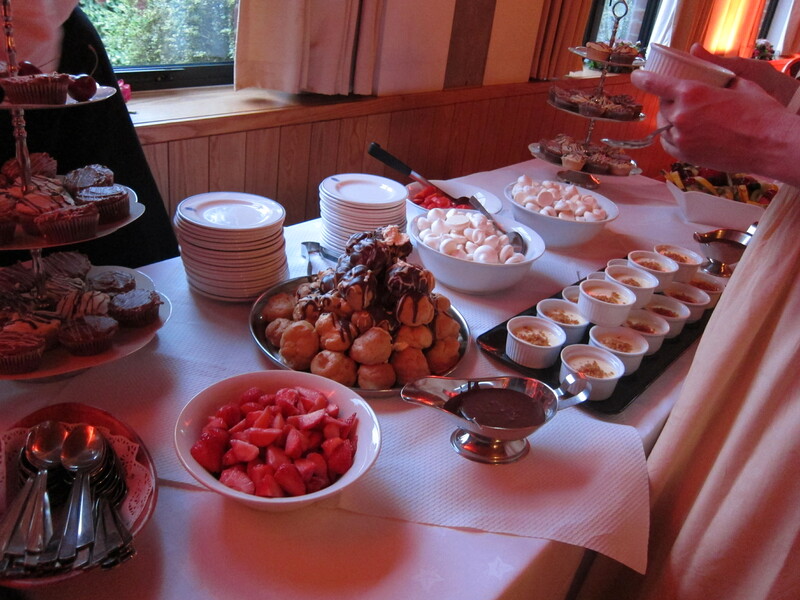 Why would you try to resist any of these? Being upstairs meant I had a great vantage point of all the merry dancers. Watching them was an experience in itself! 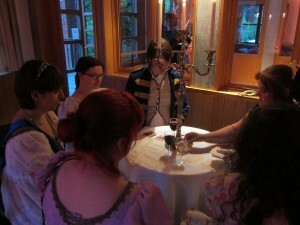 And throughout the evening, the Regency Love plot bunnies continued to multiply… Clearly, my attendance of this Regency Ball was purely for research! ← Costume Theatre- Tips and Tricks!